Karakoy stands out as one of the most beautiful neighborhoods that reflect the cosmopolite structure of the Ottoman Empire. It’s possible to observe the multicultural business life of Istanbul throughout its history via the cultural heritance in Istanbul Karakoy Neighborhood. Most of the resources on Istanbul during the Ottoman Empire are foreign sources. These works were created by the Levantines (Europeans doing business in the East), Western travelers, military officers, and authors. Most of these sources draw a picture of Istanbul in the 19th century. The Ottomans settled in the Old City for long years. However, after Sultan Mahmud II, the Ottomans began to reside on the other side of the Golden Horn, today’s Beyoglu and Besiktas neighborhoods. The first mansions of the famous Yildiz Palace were also built in this period. Palaces like Dolmabahce Palace and Ciragan Palace were also built after Yildiz Palace. Following the residence of the Padishah into the Modern Istanbul, the already high amount of movements and cultural activities reached their peak. Foreign consulate buildings filled the coast of the Bosphorus, notably Beyoglu area. “Grand Rue De Pera”, which is known as Istiklal Avenue today, began to grow and develop and hotels like Pera Palace, bakery shops like Markiz and various theater halls were opened around Istiklal. Beyoglu neighborhood gained a European characteristic due to this change that happened on the northern side of the Golden Horn. It’s quite easy to come across such examples of the reflection of this new identity on the architecture in Karakoy-Galata-Taksim triangle. Karakoy was an important part of the port city Constantinople during the Byzantine era. One side of the famous chain that prevented enemy ships from entering the city too. As there was no bridge that connected to the Golden Horn in the Byzantine era, Karakoy seemed like the far side of the city in people’s eyes. Therefore, it was named “Pera” which translates into Greek as “the other”. The name Pera evolved into Beyoglu due to the fact that a Venetian nobleman (Alvise Gritti), who had close ties with the Palace, lived here. We all know the trade colonies, Venetians and Genoese, that existed since Byzantine Empire from history books. These European traders were active in the city’s trade and they had a strong presence in Karakoy-Galata regions. It is suitable to start visiting Karakoy from Kilic Ali Pasa Mosque nearby Tophane Tram Station. This mosque is one of Ottoman’s classical period works and built by famous Sinan the Architect. It’s a really impressive and historical structure. It is an elegant mosque built in the name of Admiral Kilic Ali Pasha in the 16th century. Originally an Italian, Ali Pasha became the Ottoman Empire’s one of the most important admirals after the heroism and success he showed in wars and given the title “Kilic”, which translates as “sword” in Turkish. 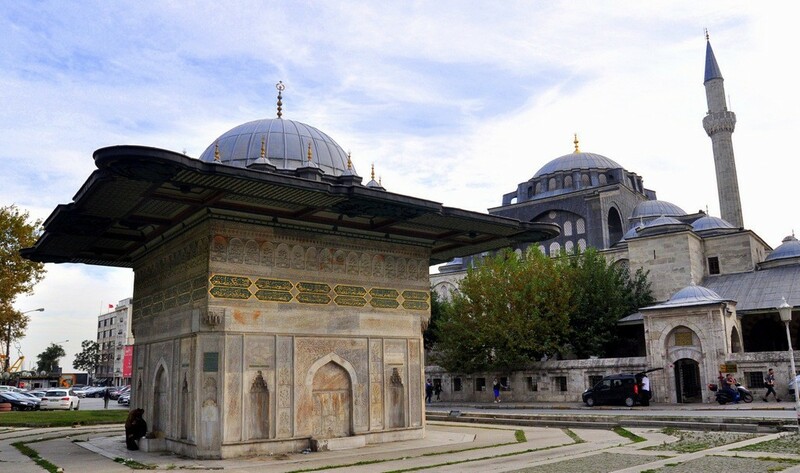 Kilic Ali Pasha became so influential that he would make Sinan the Architect build a mosque in his name. The famous admiral was a huge fan of the architecture of Hagia Sophia and requested Sinan the Architect to build a mosque that resembles Hagia Sophia and the symbol of Tophane, Kilic Ali Pasa Mosque was built. Tophane Cesmesi next to Kilic Ali Pasa Mosque and recently restored Kilic Ali Pasa Turkish Bath also stand out as the places to visit at Karakoy. Visiting this bath is definitely one of the best things to do in Karakoy. The Autocephalous Turkish Orthodox Patriarchate is independent of Greek Orthodox Patriarchate as it’s the spiritual center of the Eastern Christians. It was founded under Mustafa Kemal Ataturk’s permission by a Greek origin priest and his disciples who supported the Turkish army during the Independence War. 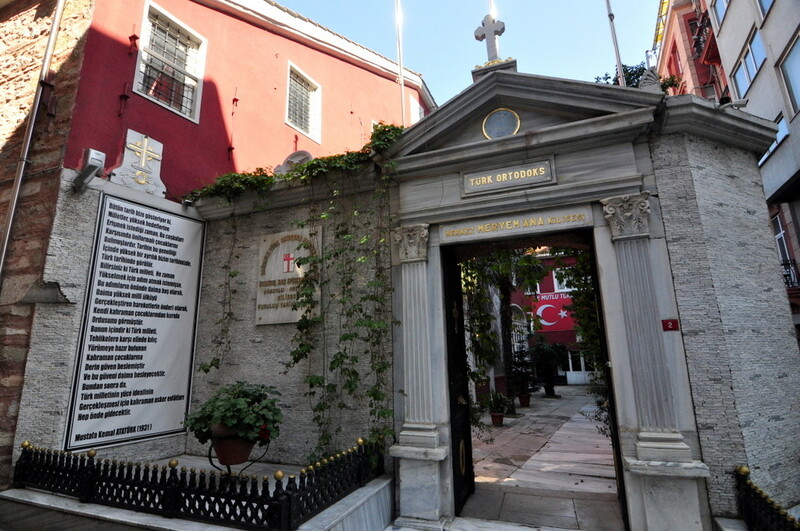 This patriarchate is not known well, but it has a church at Karakoy and inside the church, a lot of interesting icons and decors can be seen. We emphasized at the beginning of this post that there was a colorful business life in the late Ottoman period. 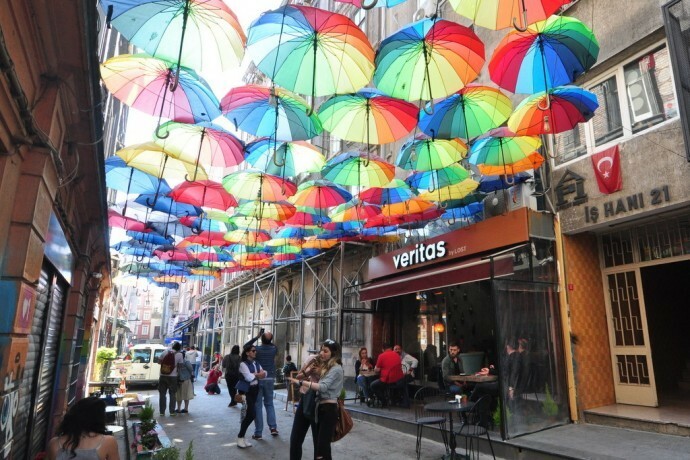 Karakoy and Galata were where this colorful business life was the most active. 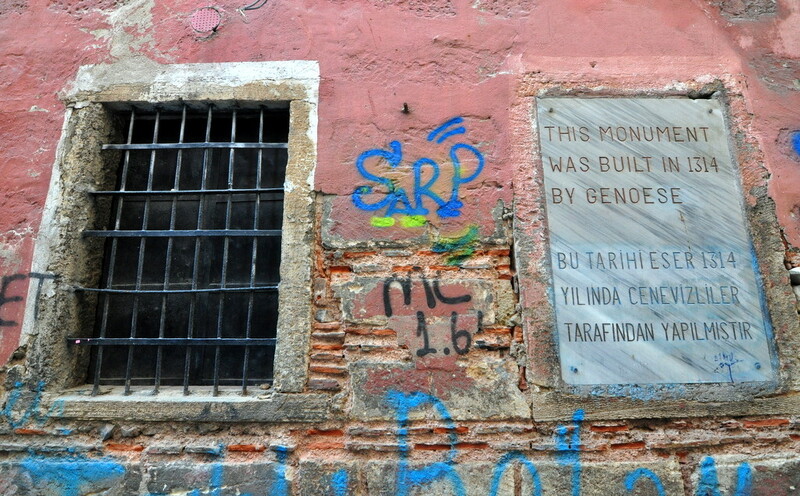 Therefore, besides the buildings that French and Italian Levantines built in Karakoy, the marks of Greek and Armenian origin Ottoman citizens can also be seen. 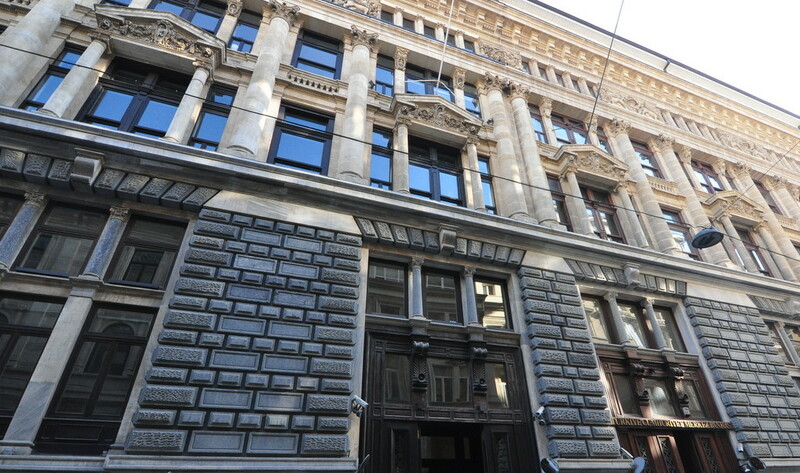 As you can see the photo below, Ceceyan Han is an elegant building that was built by an Armenian family. 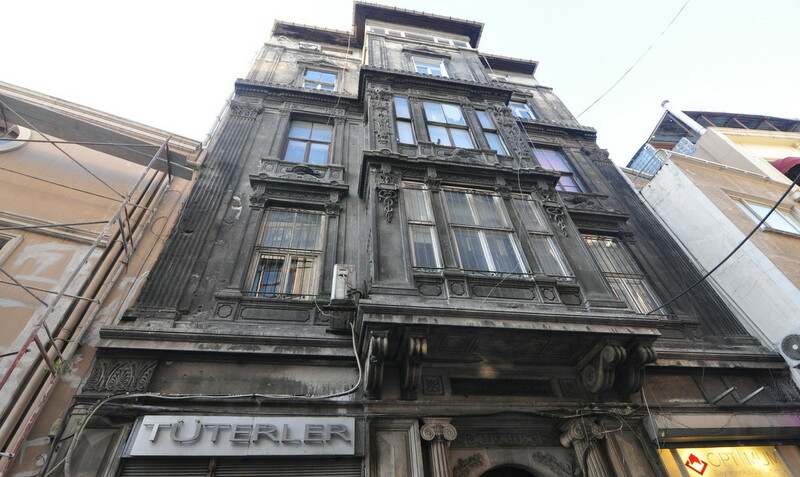 When you enter Gumruk Street from Karakoy Square, it is one of the buildings that attract the attention. 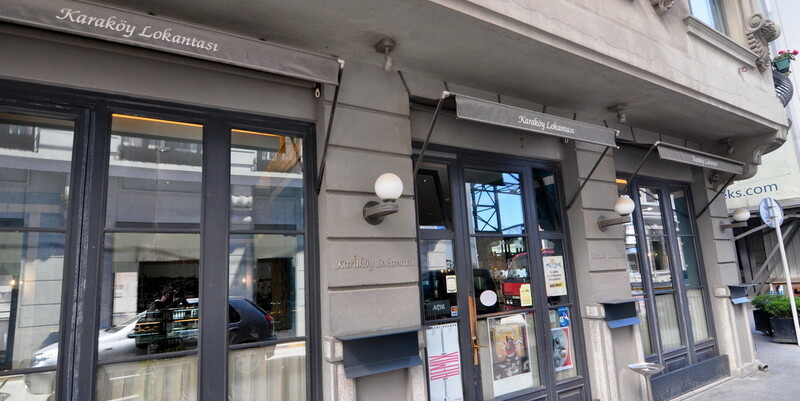 You will also see Mabel (Mabel Chocolate Shop) at the entrance of the street. 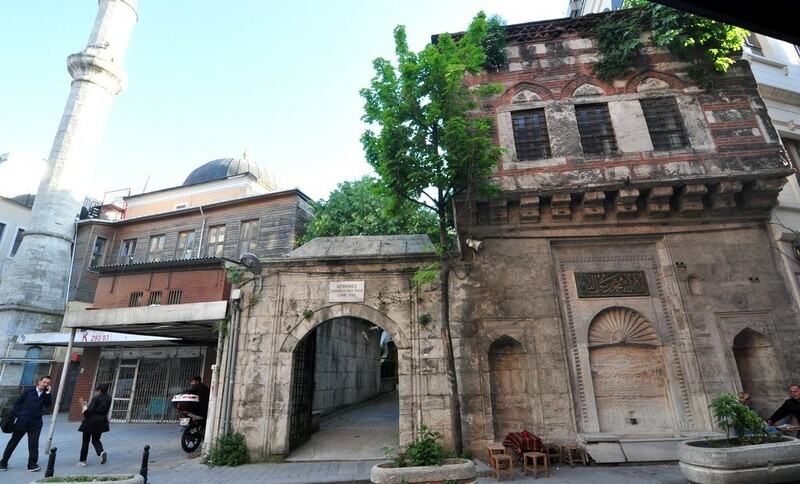 If you continue walking by Ceceyan Han, you will see Kemankes Mosque and the ages old fountain too. If you keep walking on the same street, the road will take you to Karakoy Namli Gurme, Gulluoglu Baklava Shop and Karakoy Port direction. Banks Street (Bankalar Caddesi) used to be the financial center during Ottoman’s last years. The buildings built by Ottoman citizen bankers and foreign businessmen helped the neighborhood gain a European city style like Prague or Paris. Today, some of these buildings belong to organizations like Is Bankasi and Turkey Central Bank. 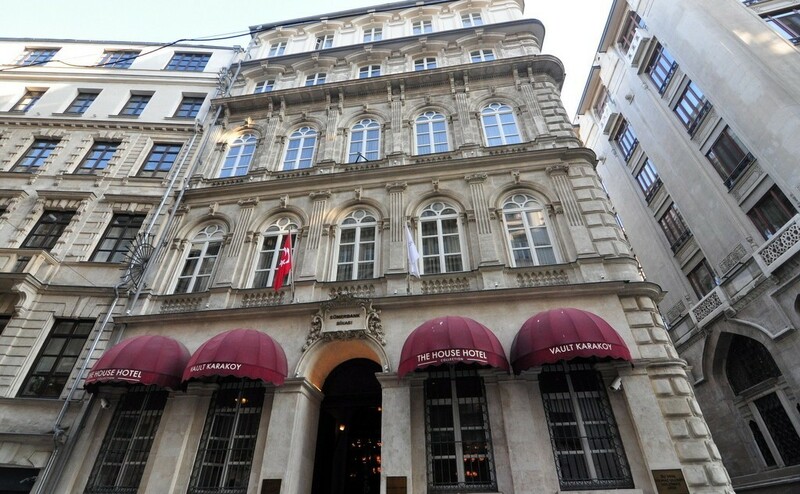 The buildings of Turkey’s historical organizations, Sumerbank and Ottoman Bank, were converted into luxurious hotels. In the middle of the street, one of the most beautiful buildings on that street, Salt Galata, an art center, can also be seen. Due to these features, Banks Street is one of the best places to visit and take photos at Karakoy. When you go down right next to Salt Galata on Banks Street, you will be heading to Karakoy Hurdacilar Carsisi (Scrap Shops) . You just need to pass through the Hurdacilar Carsisi in order to Arap Mosque. If you find Galata Mahkemesi Street and go inside, you will see one of the best restaurants, Mahkeme Restaurant first. After a few meters walk, you can find Arap Mosque that looks like an Italian building. Of course, there is a way why Arap Mosque was a copy of the churches in Middle Ages Italy. Italians and French Levantines in the neighborhood built a church at Karakoy. Therefore, this church clearly reflects the Western Europe identity. 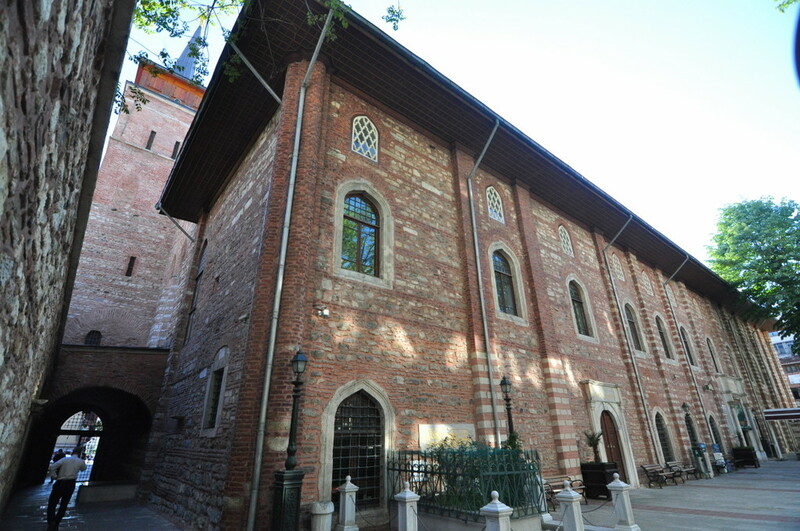 However, it was converted into a mosque after the conquest of Istanbul. When you enter the front yard of Arap Mosque, you can find yourself away from the chaotic life of Karakoy and the crowds and feel peaceful. The spacious interior design of the mosque also enables prayers to find the spiritual peace while they pray. Therefore, Arap Mosque is seen by many as one of the most beautiful mosques of Istanbul. Istanbul Karakoy Neighborhood has witnessed a tremendous change in recent years and it has gained a modern identity thanks to the hotels and cafés that have been opened one after another recently. One of the reasons for this change and growth is the tourists flocking into the neighborhood via Karakoy Ferry Port. There are tons of cafés and restaurants on the side alleys of Karakoy, be it converted from historical buildings or buildings designed in a modern style. 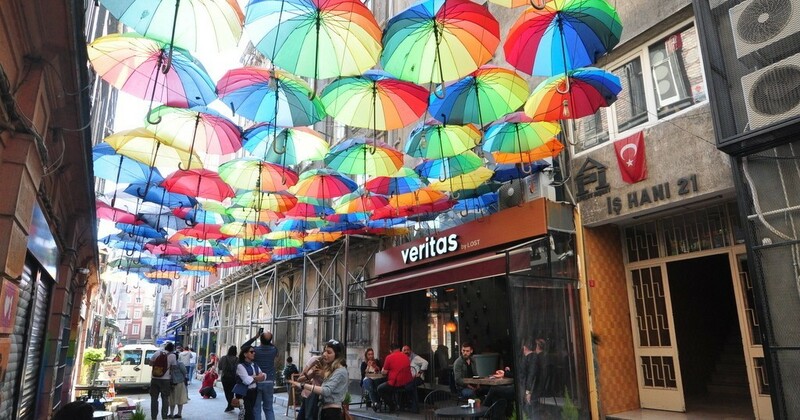 So, we will try to choose some of the best cafes and restaurants to visit if you are at Karakoy. Karakoy Lokantasi is one of the oldest restaurants at Karakoy neighborhood. The restaurant stands out with its central location and it offers amazing food in a modern setting. Karakoy Lokantasi is a very famous place. It’s mentioned in all guide books about Istanbul. Therefore tasting local food in here considered as one of the top things to do in Karakoy. I had difficult time deciding whether Fransiz Gecidi should be in the historical structures part of in the places to visit at Karakoy. This is because the French Street is one of the places that reflects perfectly the multi-national business history of the neighborhood. The French Street is a place designed to bring French businessmen residing in Karakoy and French sailors to enable them to conduct business meetings. They made use of the space between two streets in a such a functional way. It still houses various elegant cafes at Karakoy. Namli Gurme is located on an avenue parallel to the port and it’s easy to reach from Karakoy-Kadikoy Ferry Station. 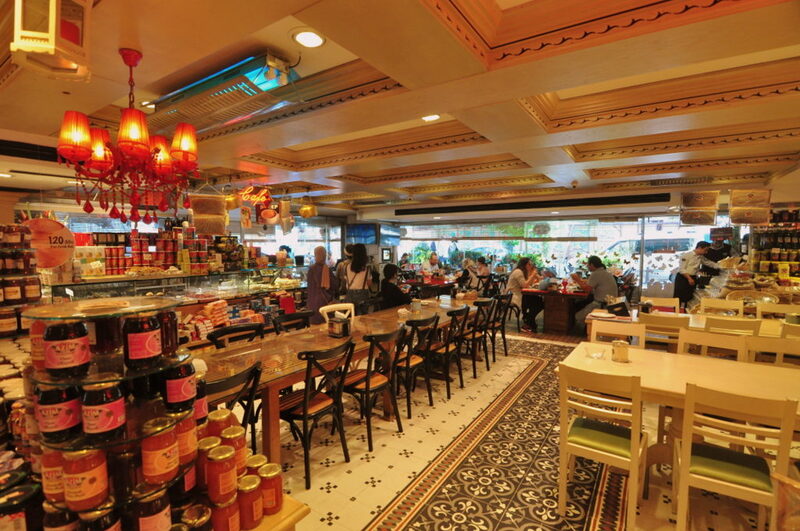 Namli Gurme stands out as one of the best places to have breakfast at Istanbul Karakoy Neighborhood. You can both do shopping at its delicatessen section and have breakfast either in its spacious inner area or outside area. Namli Gurme is an ambitious place which is also included in our best places to have breakfast in Istanbul. 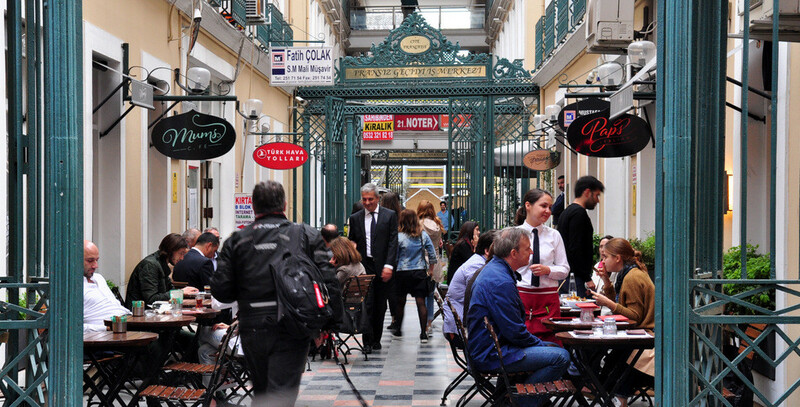 Top things to do in Karakoy – Have a great Turkish Breakfast! 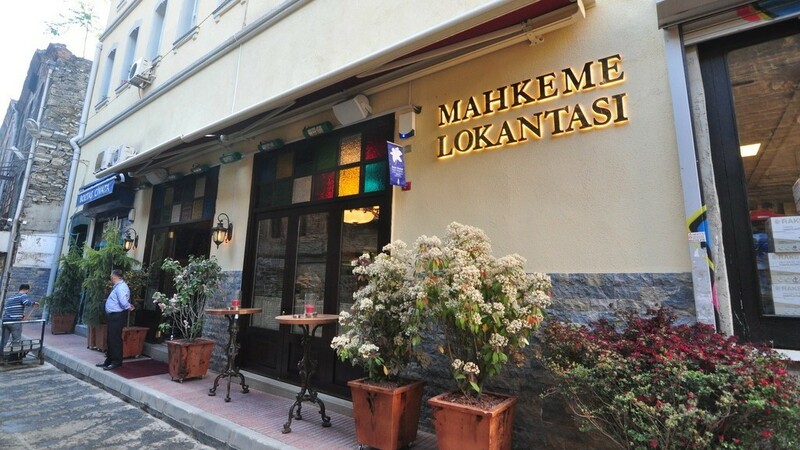 Mahkeme Lokantasi is located on a parallel street to the main road on the Golden Horn side of Karakoy. It’s on Mahkeme Sokak and regarded as one of the best restaurant that serve to the craftsmen mostly. You can reach the restaurant via Hurdacilar Carsisi on the way to Arap Mosque. It’s a beautiful and highly modern restaurant thanks to the renovation it has seen. You can also reach the restaurant by walking from Karakoy Banks Street. 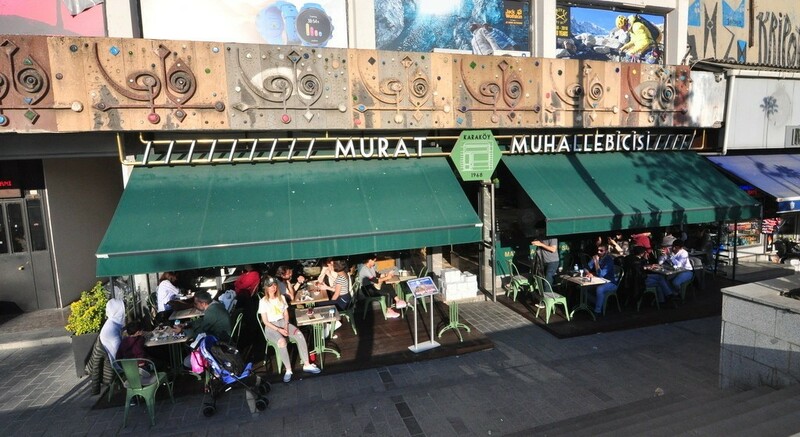 Murat Muhallebicisi is located at Karakoy Square between Tram Station and Karakoy Port and it’s one of the symbol landmarks of Karakoy. This café is at one of the most central points of Karakoy and you can enjoy fresh tea and traditional delicacies at Murat Muhallebi. Muhallebi is a famous Turkish dessert, so as the name suggests, you can try delicious desserts at Murat Muhallebicisi too. 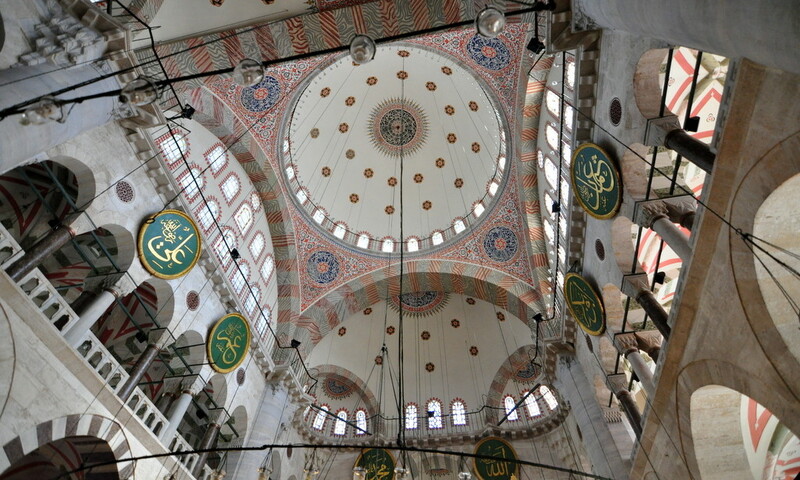 You will also note the beautiful mosaics on the ceilings of the café which were designed by a famous Turkish painter. Such cafés that have direct impact on the history of art can easily escape the visitors’ attention while they are lost in the hectic and chaotic Istanbul life. 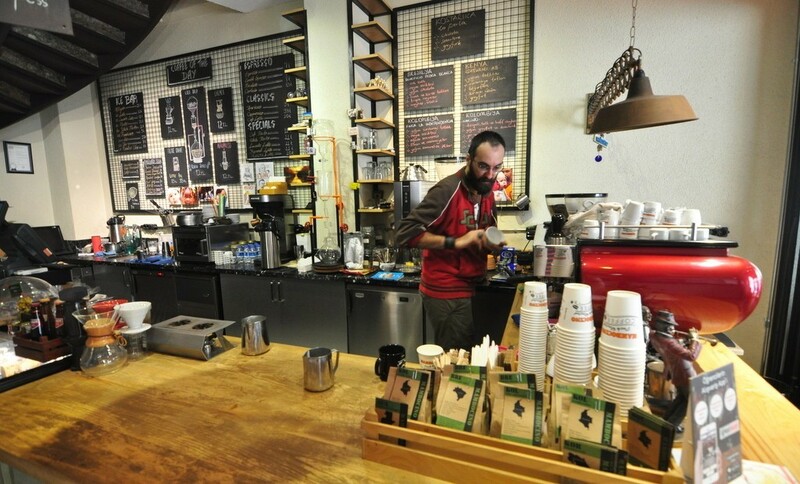 Mambocino is located on the main road from Karakoy Square to the Port and it’s seen as one of the best boutique coffee shops in Istanbul. I highly suggest you to take a break at Mambocino where you can enjoy the amazing cappuccino and other drinks. The gentleman in the shot I took is both very welcoming and so skilled in preparing the coffee. I appreciate such small shops that still stick to high work ethics in Istanbul. 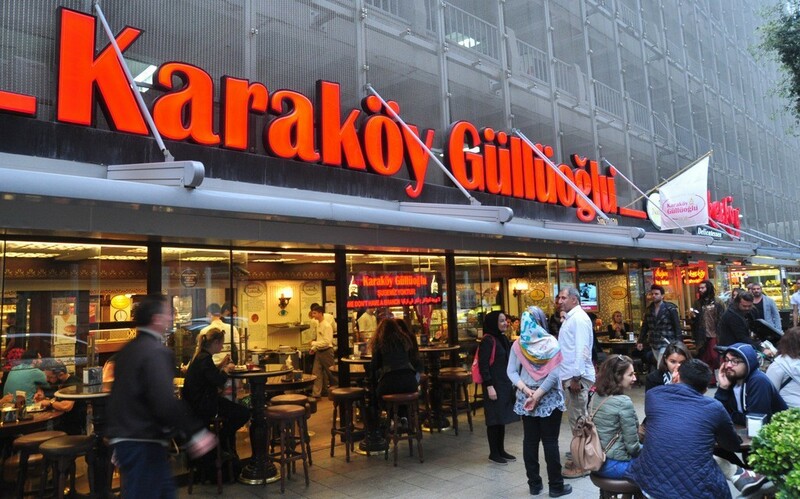 It’s a must do to mention Karakoy Gulluoglu Baklavacisi which is the only and original branch of Gulluoglu Baklavalari. Gulluoglu dates back the 19th century and it’s still one of the most prominent baklava shops in Istanbul. This shop is filled with local and foreign tourists and it serves various types of baklava and other traditional desserts too. Trying these desserts alongside a glass of tea will be a fantastic experience for tourists. Every day a new shop is opened at Istanbul Karakoy Neighborhood, the rising star of restaurant and café sectors. The good ones of such shops still serve their customers, while the bad ones have to go out of business. Veritas is one of the places opened recently and it serves as a restaurant and bar. Veritas draws the attention on the street that it is located. If you love live music, Friday and Saturday nights are the times when you can enjoy live music there.